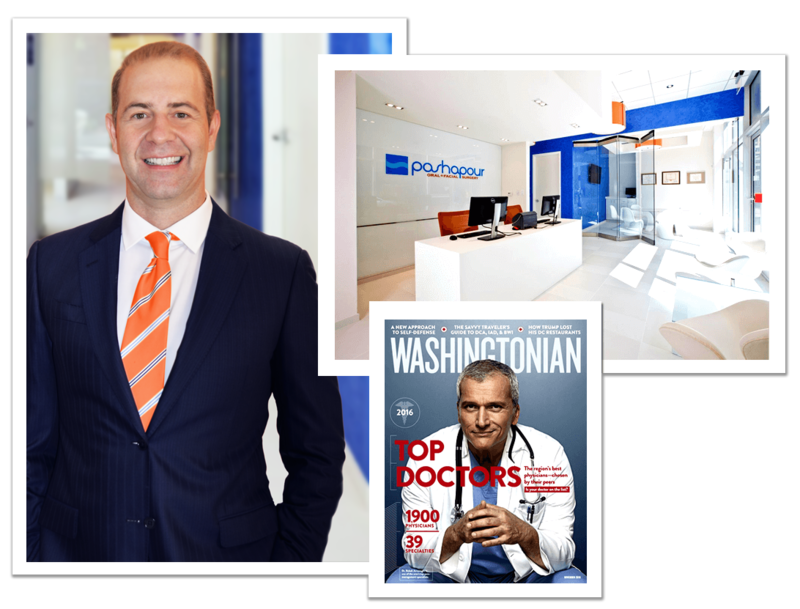 Dr. Ali Pashapour is a board certified oral & maxillofacial surgeon serving the Washington, DC and Arlington, VA areas. He is an Ivy League graduate – having earned his DMD (doctor of dental medicine) degree from The University of Pennsylvania School of Dental Medicine. His Ivy League education prepared him for a remarkable career as an oral surgeon in Washington, DC. Dr. Pashapour has had years of specialized training, along with a wealth of hands-on experience. He places 1,000 implants each year and has placed tens of thousands during the course of his prestigious career. With extensive experience practicing oral & maxillofacial surgery, he understands the positive impact that oral surgery can have on a patient. 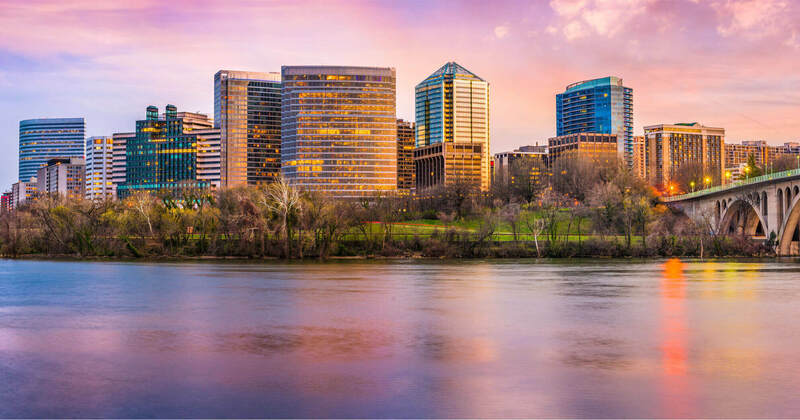 Our Washington, DC oral surgeon offers dental implant surgery, wisdom teeth removal, orthognathic surgery, dental bone grafting, sedation dentistry, and much more. At Pashapour Oral + Facial Surgery, we are committed to providing the full scope of oral & maxillofacial surgical procedures with the utmost precision and the highest level of patient care. To learn more about oral surgeon Dr. Ali Pashapour, please click the below button. Dental implant surgery is one of the most effective treatments available to permanently replace missing teeth. Dental implants can be used to replace one missing tooth, several missing teeth, or all the teeth of the upper and lower jaws. Stable and natural-looking, dental implants look, feel, and function like your natural teeth, allowing you to enjoy virtually any food again with comfort. In addition to restoring your smile, dental implants also help maintain proper bone density of the jaw, preventing jawbone resorption or jawbone loss. Annually, Dr. Pashapour successfully places more than 1,000 dental implants using the latest technology and techniques available. Dr. Pashapour offers a variety of dental implant surgeries at our Arlington oral surgery office. Dental implants can be used to replace a single missing tooth or can be used as a permanent alternative to traditional dentures. Dr. Pashapour is proud to offer traditional dental implant surgery, All-On-4® dental implants, All-On-6 dental implants, hybrid dental implants, same day dental implants, zirconia dental implants, guided dental implant surgery, PRF dental implants, PRP dental implants, and PRGF dental implants. To learn more about the types of dental implants, please click the below buttons. Wisdom teeth removal is one of the most commonly performed tooth removal procedures. Wisdom teeth are the final teeth in the mouth to emerge and are a third set of molars located in the back of the upper and lower jaws. The emergence of wisdom teeth typically occurs during the late teenage years or early 20s. Wisdom teeth that are partially or fully stuck under the gumline are considered to be impacted, which can lead to painful symptoms or infection. Wisdom teeth are also removed because they often lead to overcrowding, can damage nearby teeth, may cause nerve damage, and may lead to the development of oral cysts. Wisdom teeth extraction is generally recommended early in order to prevent the onset of any of these uncomfortable symptoms or conditions. Another form of tooth removal, which is known as general tooth extraction, is a procedure designed to remove damaged, unhealthy, or broken teeth. Tooth removal surgery is also often used to correct overcrowding if a patient has too many teeth. Tooth extraction can help correct a misaligned or crooked smile by removing problematic teeth. If a patient is experiencing tooth decay or an infection of the tooth, removal of the tooth may be necessary if it cannot be treated using other methods. In some cases, a patient may require tooth removal before braces or dental implants can be placed. Learn more about wisdom teeth removal and tooth extraction by clicking the buttons below. Oral surgery can treat and correct a variety of dental conditions and is an effective treatment for many conditions relating to the teeth, gumline, and jawbone. With advancements in technology, oral surgery has become less invasive and more effective, resulting in shorter recovery times with better results. A highly respected oral surgeon, Dr. Pashapour can individualize oral procedures and oral surgery to cater to your specific needs. In some cases, he may combine multiple oral procedures in order to produce the best results possible. 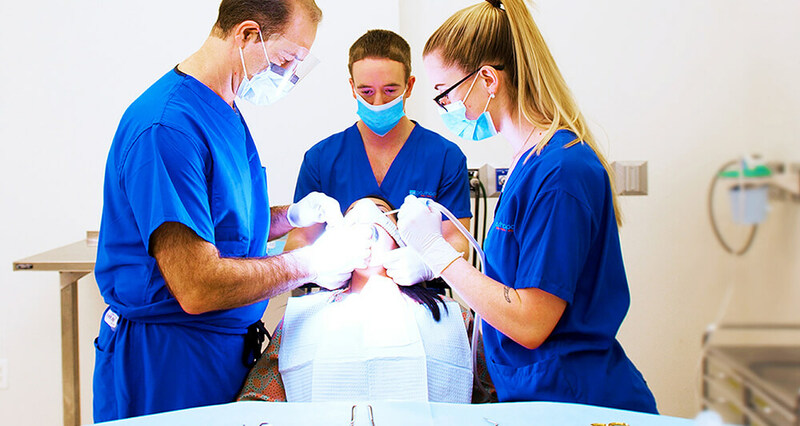 Some of the most common oral surgeries that Dr. Pashapour offers are orthognathic surgery, dental bone grafting, sinus lift surgery, canine exposure, crown lengthening, gum grafting, and frenectomy surgery. Additionally, he is also trained in treating facial trauma, sleep apnea, TMJ, and mucoceles. Oral screenings, biopsies, and temporary anchorage devices are also common services performed at our oral surgery practice. Click the buttons below to learn more about these oral procedures. Sedation dentistry uses various forms of anesthesia to ensure patient comfort while undergoing an oral treatment or oral surgery. Some of the most common forms of anesthesia used at our practice are nitrous oxide, IV sedation, local anesthesia, and general anesthesia. The type of anesthesia used during your procedure will depend on the type of surgery you are undergoing, your general health, and medical background. While anesthesia is used to ensure patient comfort, it may also be useful for patients with a fear or anxiety towards dentists or for patients who are unable to comfortably sit still for long periods of time. Nitrous oxide, which is often referred to as laughing gas, is administered through a nose mask and allows the patient to remain conscious but in an incredibly relaxed state where they cannot feel pain. IV sedation is also referred to as twilight anesthesia and causes the patient to be fully unaware of the procedure. An example of local anesthesia is Novocain. These types of anesthesia are only applied to a local area and limits the range of effect. This is helpful when only a small portion of the mouth needs to be numbed for a procedure to be performed. Finally, general anesthesia puts the patient fully to sleep for more advanced surgical procedures. Dr. Pashapour can discuss the various differences between each anesthesia and decide which is best for your particular procedure. Click the below button to learn more about sedation dentistry.